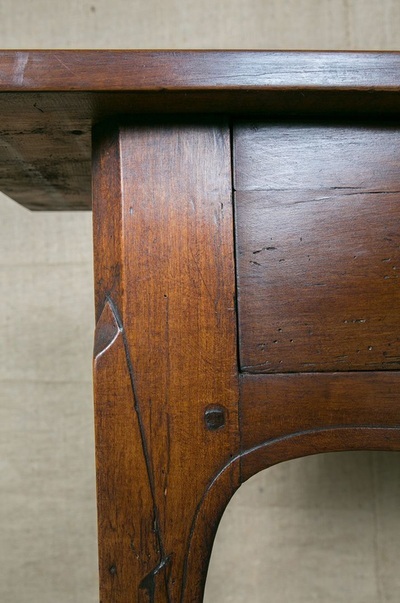 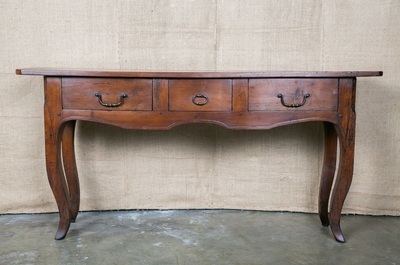 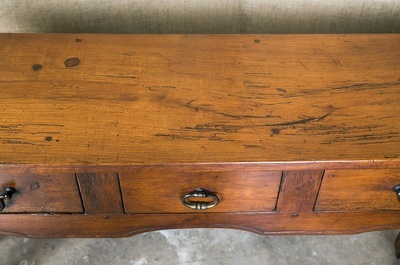 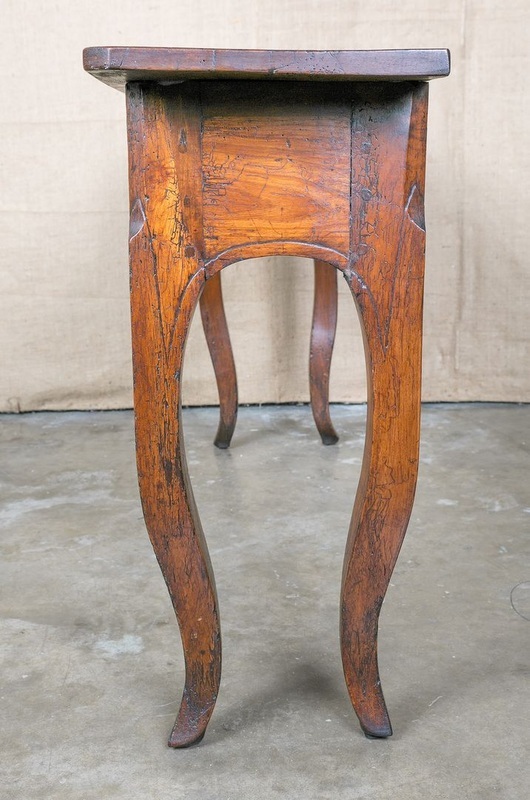 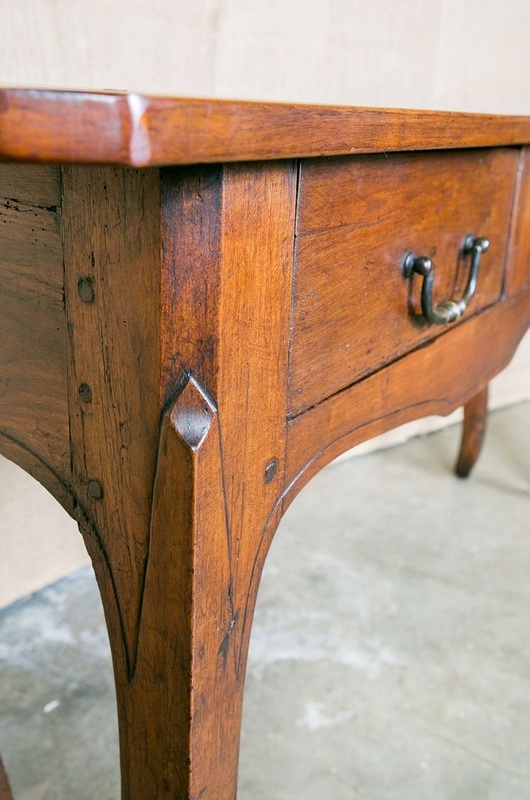 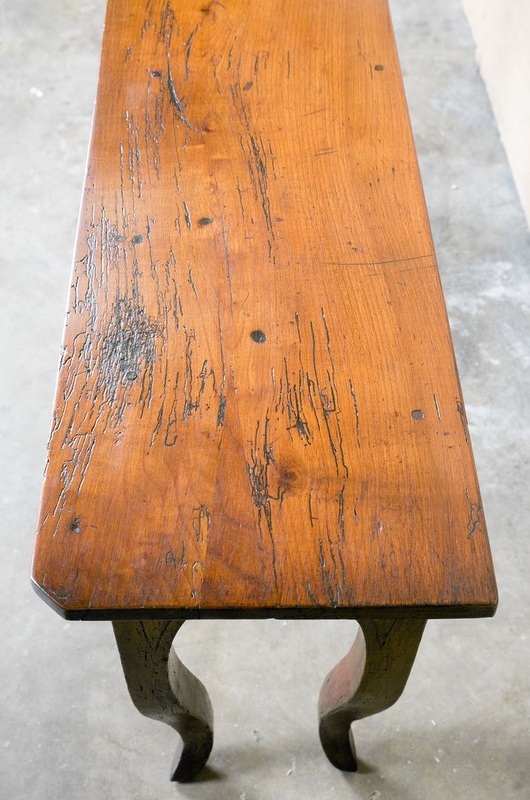 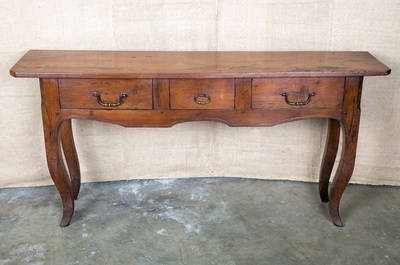 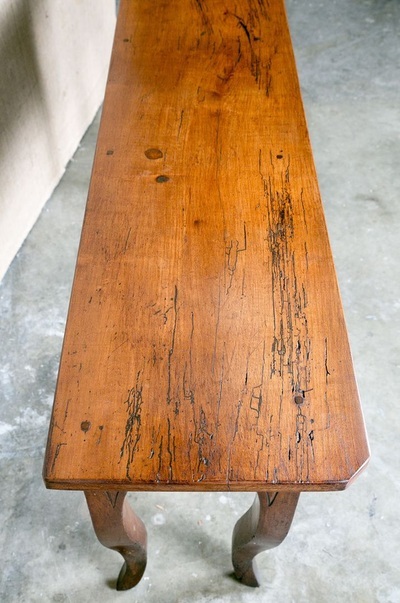 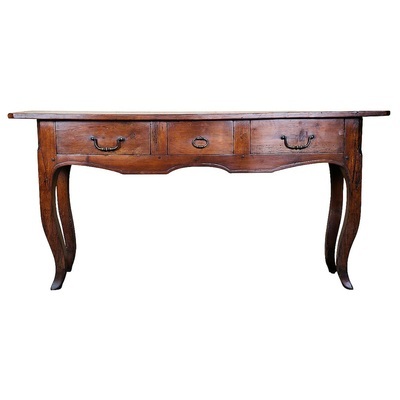 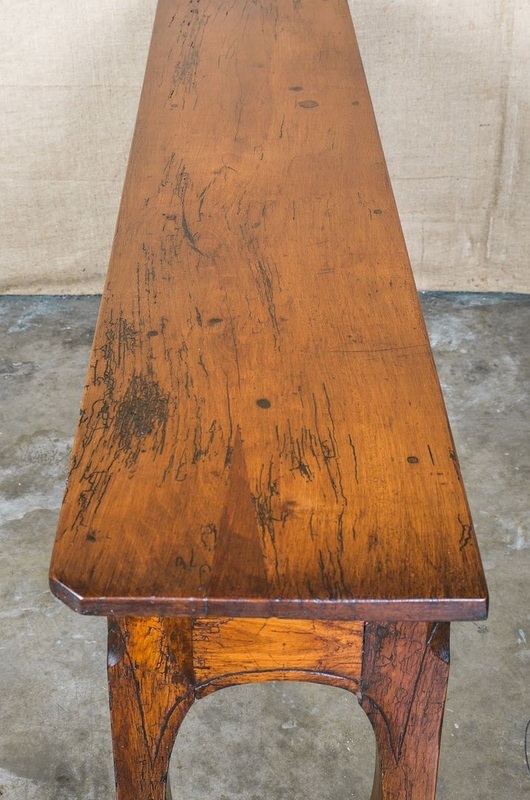 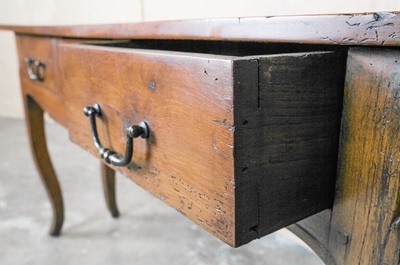 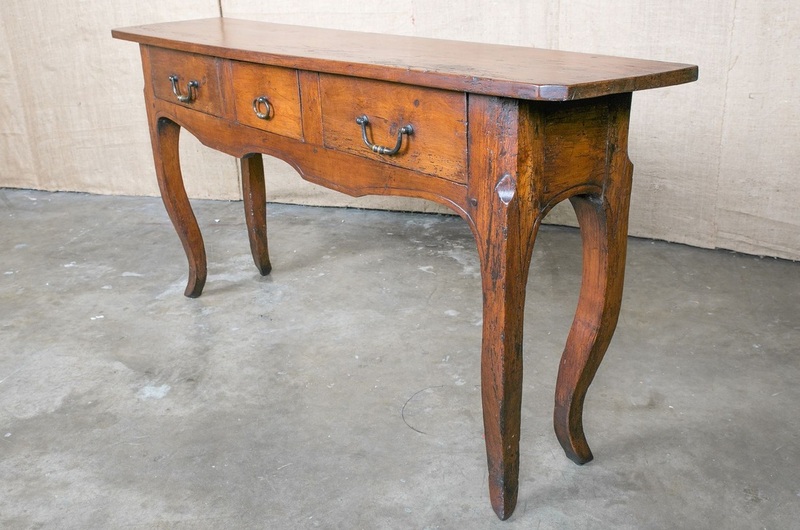 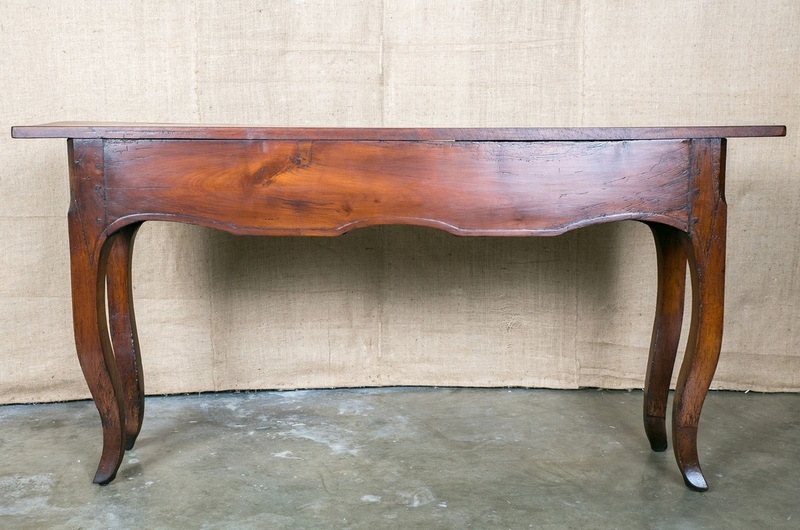 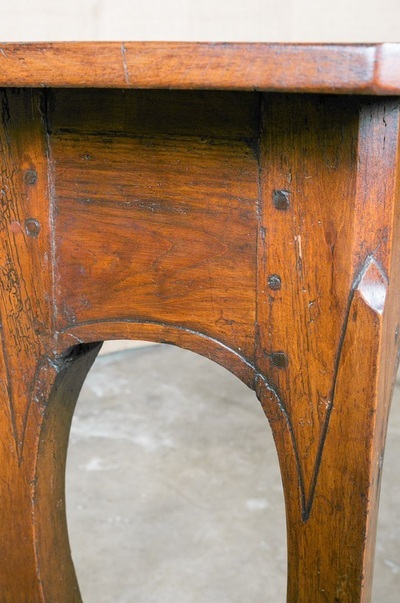 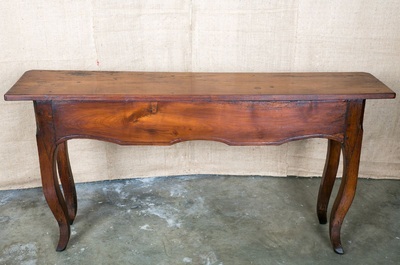 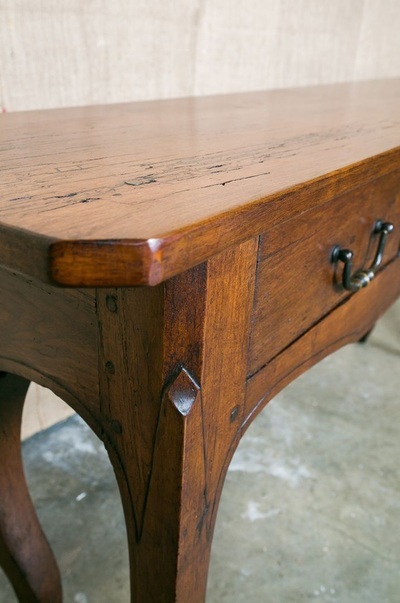 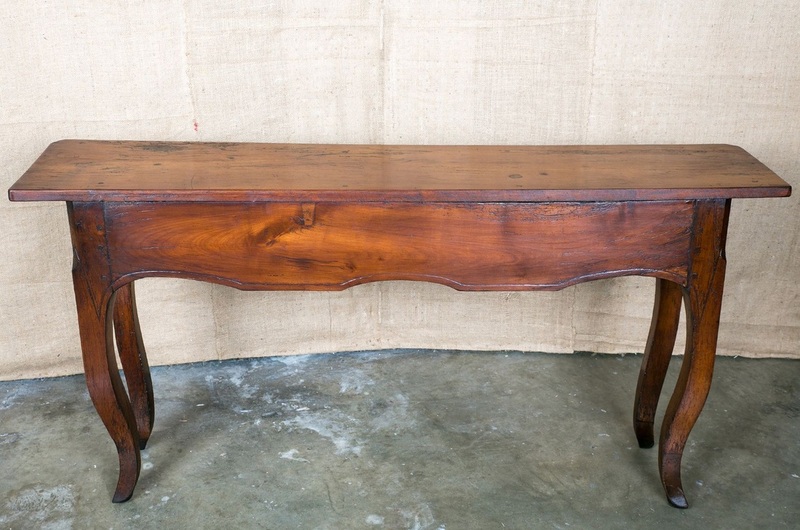 Lovely Country French sofa table/console converted from an antique farm table. Circa 1870s. 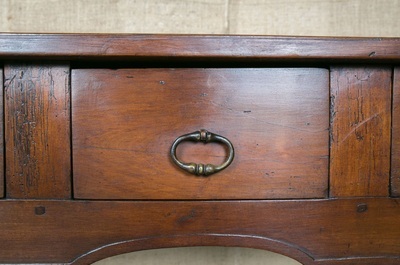 Cherry wood. 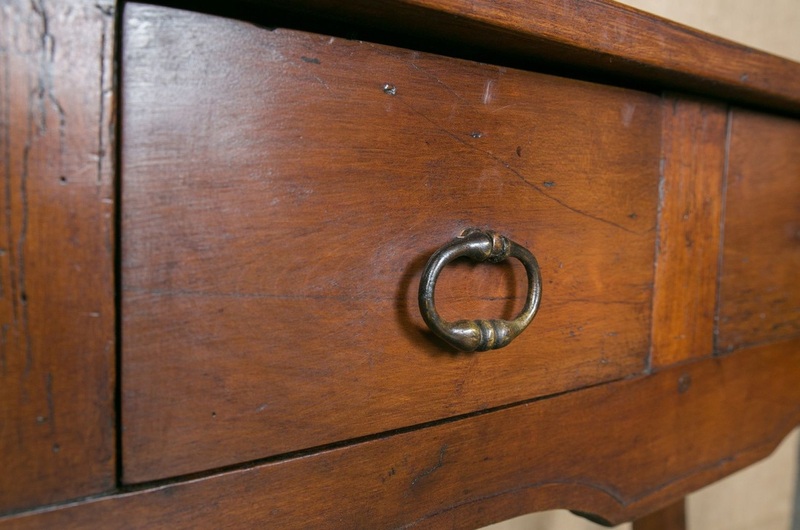 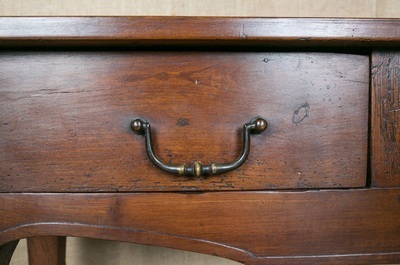 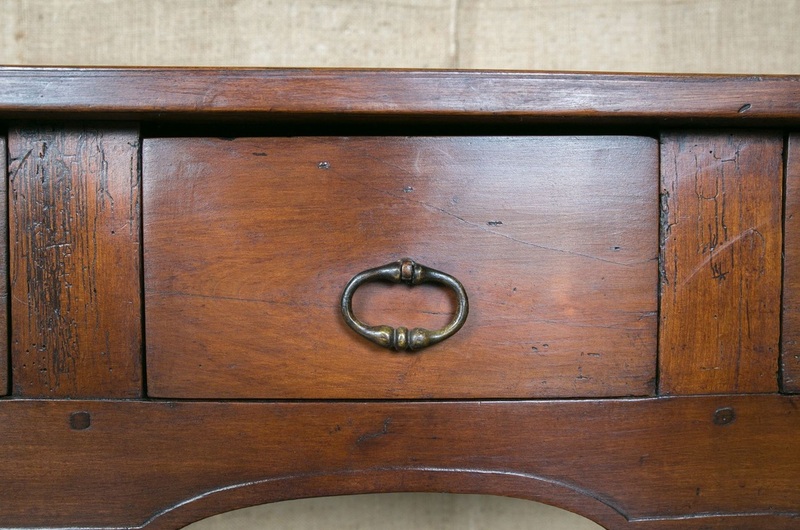 The carved apron houses three drawers with bronze pulls. 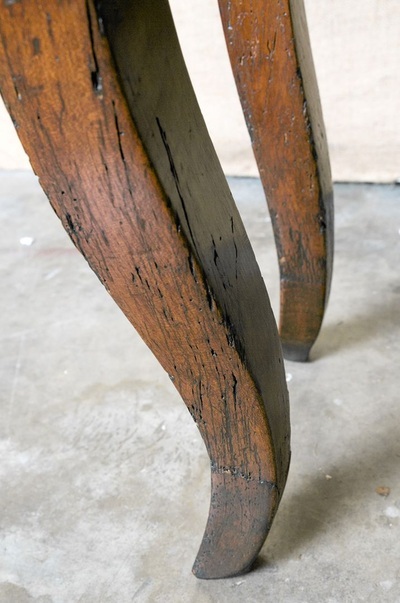 Resting on cabriole legs ending in pieds de biche (hoof feet).